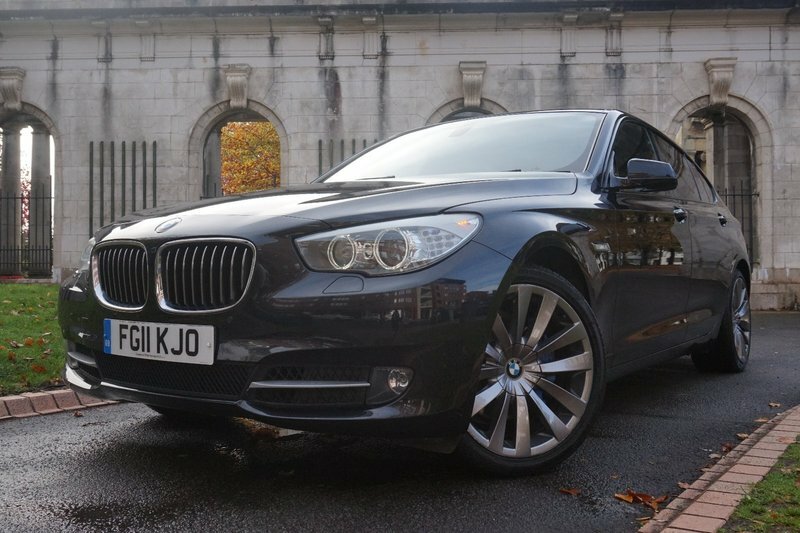 A stunning example of a 3 former owner BMW 530D GT Executive containing Media Pack. Accompanied with Panoramic Glass Roof, Reversing Camera, Large Screen BMW Nav, Heated/Elec/Mem Seats with Lumbar Support, 20" Double Spoke Alloys, Auto Folding Mirrors, Xenon Headlights, and Sport Steering Wheel. 3 services - including 2 done by BMW. Full service just done in Oct 18! NEW MOT put on in Oct 18! Comes with spare key. 3 Month Warranty (can be extended to 24 months), Low rate Finance package available! PX Welcome! 12 Month AA Break Down Cover! We are open Sundays too! Please call to arrange an appointment!